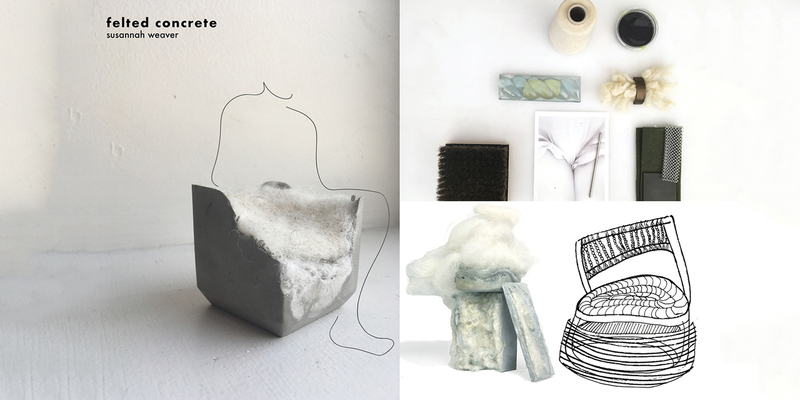 In this design ethereal wool meets solid concrete, a mixture of materials that is juxtaposing, yet complimentary. Wet concrete is poured and instantly begins to heat, creating a cloud of warm air rising from the mold. Raw wool is sheared, carded, and spun, wisps of hairs pulled from the bundle and added to the mold in a warp and weft pattern. 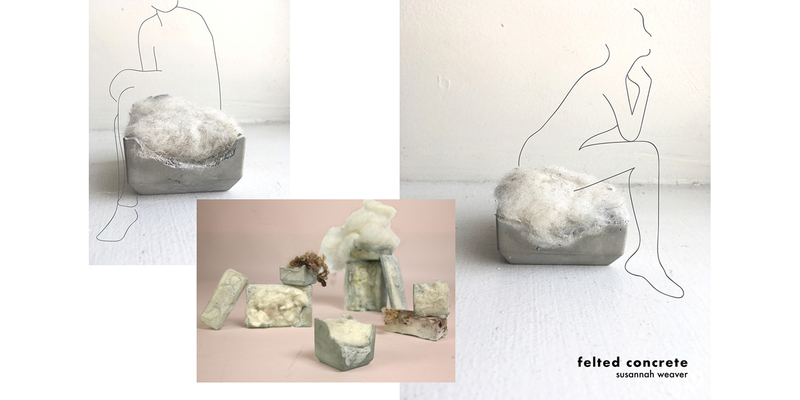 Dry wool is hydrophobic, resisting the concrete as it enters the negative spaces between hairs. 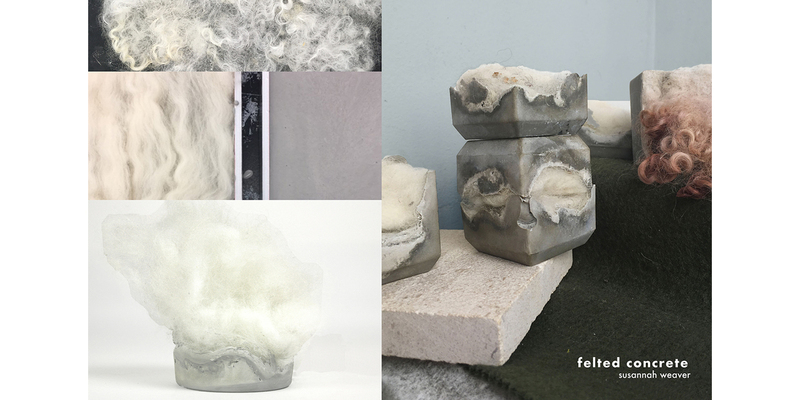 This network of fibers and stone is continually heating and facilitating the natural felting process in wool.